Indian Economy is third largest economy in the world for purchasing power parity (PPP). India is 19th largest exporter and 10th largest importer in the world. India has tade agreements with WTO, G 20, SAFTA, BRICS etc contries. Indian Economy adopted reforms in 1991 and free-market principals. India liberalised it's economy for international trade keeping long terms benefits in mind almost 2 decades ago. The era of free India's economy is clearly devided into Pre liberalisation period (before 1991) and post liberalisation period (after 1991). Textile is the leading industry based sector in Indian economy followed by Service sector, Retail, Tourism, Mining. Agriculture secor shares 58% of employment in India and second largest in output based sector in the world. Indian banking sctor is organised sector of Indian Economy having shares from private, public and foreign owned banks. India is 4th in power (electricity) production in the world. It is also 4th largest importer of crude oil in the world. India's natural ol reserves only meet 25% of country's demand rest 75% is imported from gulf countries and oil exporter nations. India is third largest road network in the world with 4th largest Rail network for transportation of goods and public. 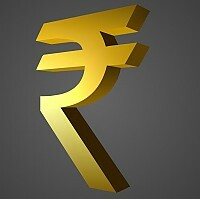 Indian Rupee is the only legal tender in India. The heighest denomination of a bank note is 1000 Rupees issues by Reserve Bank Of India. Raghuvendra Rajan is new Governor of Reserve Bank Of India.